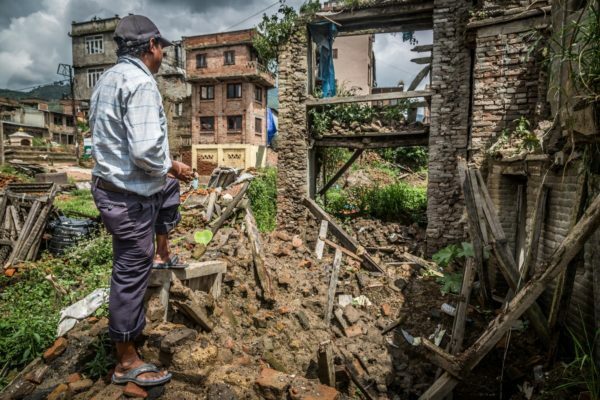 Working with DFID, Crown Agents undertook the procurement and supply of over 360MT of Humanitarian NFIs for Nepal in the immediate aftermath of the 7.8 magnitude earthquake that struck Nepal in 2015. This included provision of 20,000 shelter kits that providing emergency shelter for 100,000 people. Crown Agents also facilitated logistics for the deployment of UK search and rescue and medical teams, repatriation of UK nationals and provided equipment to bolster the British embassy’s disaster resilience. The Crown Agents logistics team deployed within hours of the earthquake, undertaking a rapid evaluation of Kathmandu airport and calling forward stocks of mechanical handling equipment to increase throughput of aid through this vital gateway. The operational response totalled £22.8m with assistance and protection offered to affected populations in the sectors such as health, water, sanitation and hygiene (WASH), shelter, protection and livelihoods. We focussed on the rehabilitation of damaged dwellings, restoring livelihoods ahead of the June planting season, and ensuring an effective transition to development programming in time for winter. Key to achieving this was promoting effective coordination and logistics between humanitarian and development agencies.